Prince George T-shirt designer 'inundated with requests' after royal seal of approval | HELLO! Many fashion brands are well aware of 'the Kate effect', with sales rocketing after the Duchess of Cambridge wore their designs. And the royal's three-year-old son Prince George is already following in his mum's footsteps, with everything he touches turning to gold! In new photos released to celebrate his third birthday, the Prince was spotted sporting a £9 T-shirt from childrenswear brand Sunuva. And we caught up with the label to see what effect the royal seal of approval has had on their brand. "After the news broke to the media we were immediately inundated with requests, receiving 500 pre-orders in 24 hours which was incredible," co-founder Emily Cohen told us. "Our web traffic instantly increased tenfold, with a significant sales boost for other pieces in our Spring/Summer 2016 collection too. 'The George effect' has certainly been fantastic for us." Emily is delighted that the Duchess has chosen to champion their relatively small British-based brand. 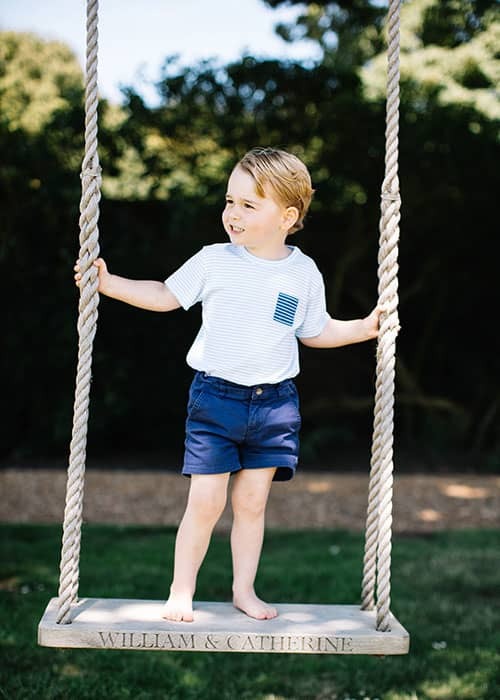 "We are deeply flattered that Kate, who has impeccable choice, chose a Sunuva piece to put Prince George in, and as a result massively increased our brand awareness worldwide." 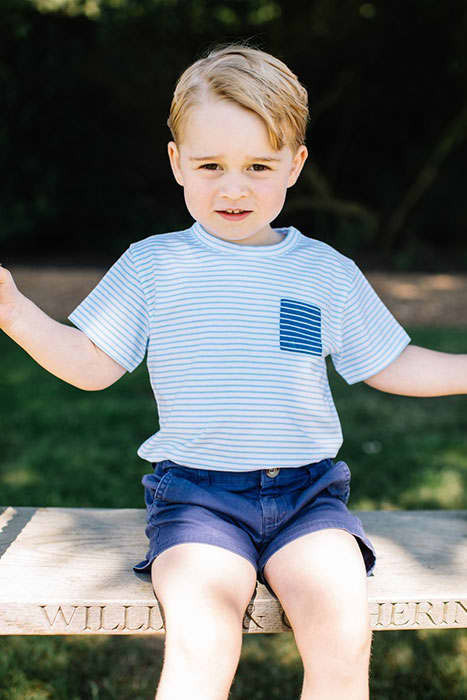 Speaking about the moment that she found out Prince George was wearing a Sunuva design, Emily said: "A friend in Israel emailed me at 9am asking, 'Is that one of your T-shirts Prince George is wearing?'. "I immediately went online and there it was... It took a while to process what I saw! We thought he looked absolutely adorable in it." But Prince George isn't the only famous celebrity child to sport Sunuva designs. Gwen Stefani's son Kingston has often spotted in the T-shirts, as has Victoria Beckham's daughter Harper. "Victoria Beckham is such a fashion icon with incredible taste, so for her to dress Harper in our designs is very flattering indeed – we could not ask for a cuter model," said Emily. "We are very fortunate to have a strong celebrity following!"